Williams Jet Tenders sponsored the recent Ultimate 2016 summer party hosted by Sunseeker International at La Fortaleza in Mallorca. Willliams Jet Tenders provided transportation from 24 Sunseeker yachts to the Ultimate 2016 summer party. Photo by Quin Bisset. The iconic fort, which was featured in the BBC series “The Night Manager,” welcomed 200 guests. Williams said its Dieseljet models offered transportation from a fleet of 24 Sunseeker yachts set in the bay of Pollensa to the new Jaguar F Pace and Range Rover convertible Evoques. Williams also offered a new Minijet for a charity auction. All proceeds went to the charity Macmillan; more than 44,000 British pounds ($57,530) were raised on the night. 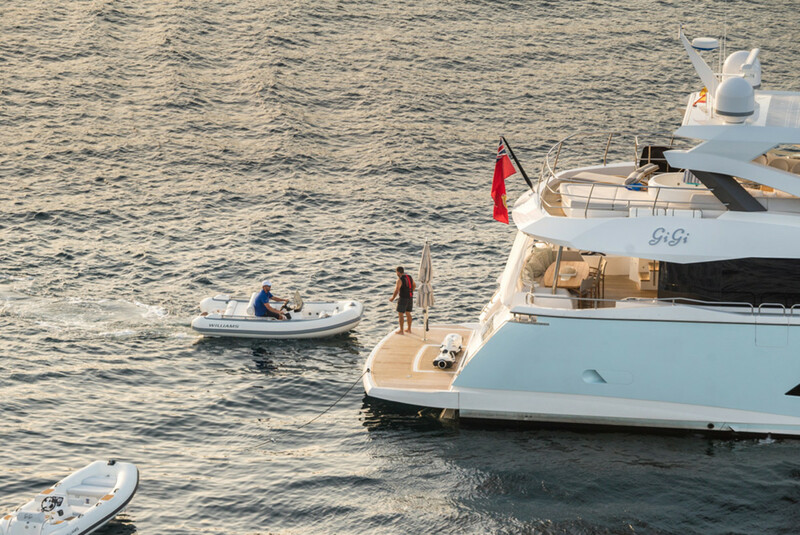 “We were very proud of our sponsors who came together to really make this the most spectacular party of 2016,” Sunseeker International global marketing manager Bryan Jones said in a statement. “It was a great event to showcase our new Minijet, and we were delighted with the feedback on the new range ahead of its world debut in Cannes,” said Mathew Hornsby, sales director at Williams Performance Tenders.